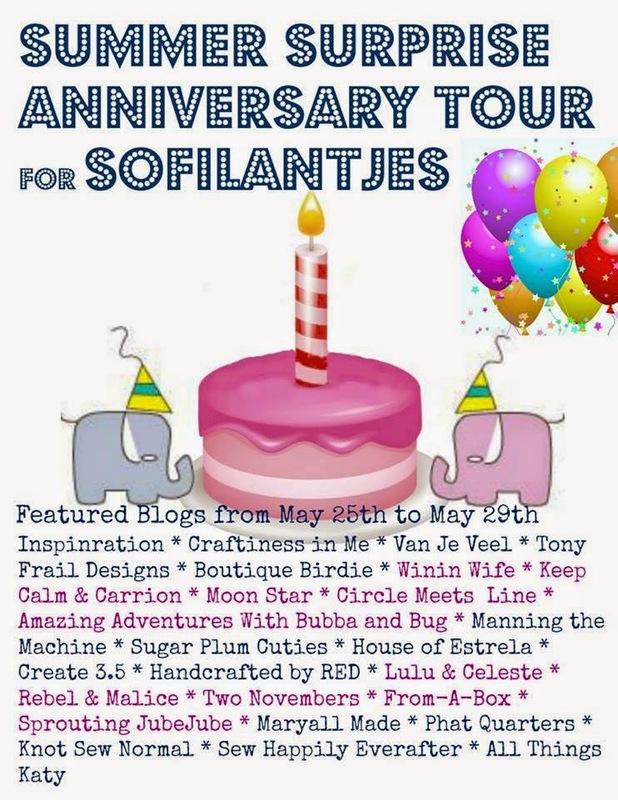 Sofilantjes "Summer Surprise" One Year Anniversary Tour! I'm so honored to be part of Sofilantjes' Anniversary Tour! I'm fairly new to Sofilantjes Patterns, but I've made the Gemini Skirts and Otium Sweater and love the attention to detail and how neatly the patterns come together. Today we have the very first pattern Anne released - the Summer Surprise! (Two of them, actually!) When I make something for one girl, I usually end up making one for the other, but I try to never make them exactly the same. Natalie's top is an upcycled t-shirt that formerly hung in my closet. After a few years of wear, it still had some life in it, but not for me. I gave it a facelift with some bright orange and white polka dots - I like how they add a punch to the rust of the main fabric. For Sam, I decided to try a little mashup. I took the "sporty" version of the Gemini, and blended the two patterns into a dress. 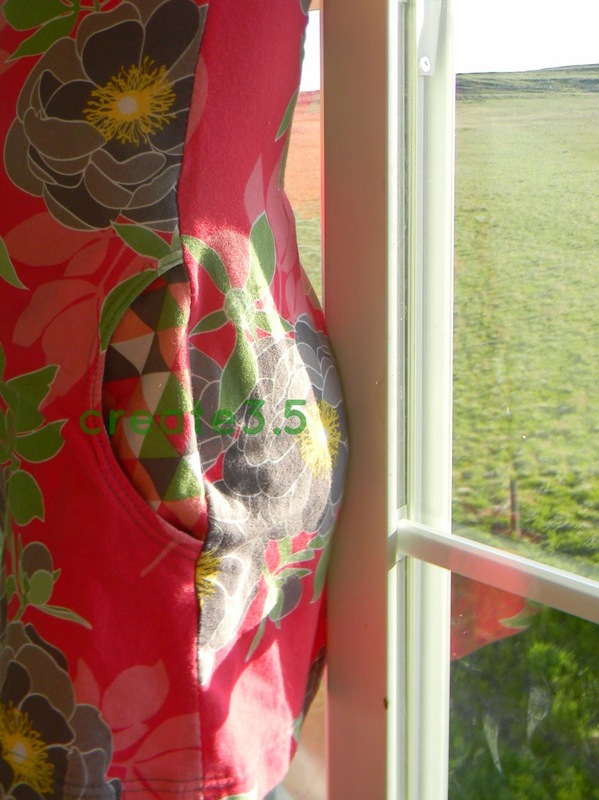 Then I added some hacked circle pockets, sketching out a quick pattern myself. They're not very deep pockets, but they're more for show than anything! 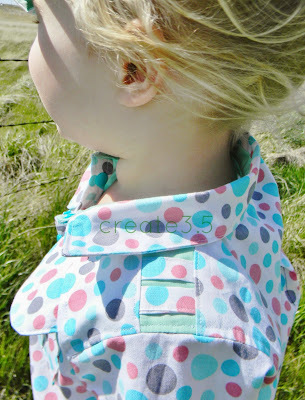 I love the easiness of this pattern - it's perfect for summer playtime, with a little whimsy and no fuss. The bow is ridiculously easy, yet looks like you spent a ton of time on detail! Through May 30th, you can get your copy of the Summer Surprise (individual) for 25% off, using code anniversary on the website. The pattern is a re-release; Anne has updated the Summer Surprise to be a layered pattern, great for saving ink! If you already have the pattern, you can download the update from your account. If you purchased on Etsy, won, or tested the pattern, and would like the layers update, email info@sofilantjes.com with "summer surprise" in the subject line. Include your receipt, or a copy of the email the pattern was sent to you in. "There's a bow back there!" "Ohhh. I guess you're right, Mom!" Follow along with the rest of the tour (and catch the posts you've missed)! This round of Mystery Challenge has a theme: Moments and People Throughout History. I was assigned "George Sand", which took me on a different path. Usually I stick to clothing, but after doing some research, I wanted to go a quilting route. I decided to collage some of the things I learned about Sand; things that defined her. Sand wrote prolifically, from novels to political commentary. She wore men's clothing, claiming it was more comfortable. She smoked in public, scandalous for the time. The background is inspired by the French flag. The applique was pieced from strips of two "Paris" themed fabric in the shape of the "female" symbol. I placed it in the "male" symbol's position, to denote Sand's habits of wearing men's clothing and smoking in public, both scandalous for women at the time! The middle section is sanded twill, with black piping down the center to appear like pages from a book. I scribbled on either side of the "book" - facts about George Sand on one side, quotations attributed to her on the other. The final piece is a "romantic" background, with the French word for "freedom" superimposed. I wanted to show the feminine side that Sand had, as well as the things she fought for for women through her writings, being a proponent of women's rights and equality. Follow the rest of the Challengers this month for more mini history lessons! I was given the opportunity to test something unique this past few weeks - a "no-waste" kimono jacket pattern from Tites-Mains. The pattern pieces are cleverly shaped around each other to fit into one neat rectangle, which you can place over your folded fabric. Then you just cut around the solid lines, and there's your jacket, ready to sew! No giant, weird shaped scraps left to figure out what to do with - efficiency at its best. 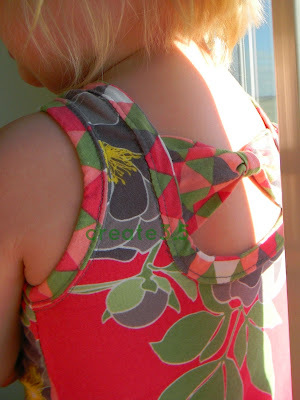 The sewing process is quick and simple, and the finished results are something I haven't seen before. Suzuran comes in two size ranges (Medium and Large) that fit most sizes. The style flatters - it drapes, and there's a belt included for shaping. I personally like the sleeves a lot - wide, loose, and flowy, with a clever twist at the cuffs. arm vents are style choices pulled from real kimonos. This pattern is on sale ($6, through May 25) - you can get it here on Craftsy already reduced, or on Etsy with code SUZURAN00. Focus on the unique shape of the belt loops, not that I need a haircut. 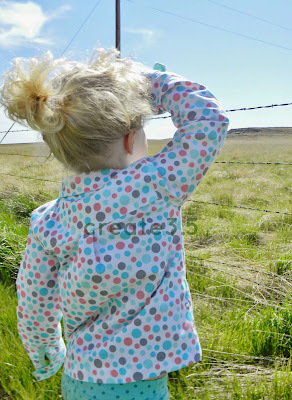 If you're looking for a fun, fast sew, perfect for spring/fall fashion, the Suzuran Jacket should be on your list. Julia (the designer) worked hard and took all tester suggestions very seriously to come up with the best finished product possible, and it's a success! Yay Julia! 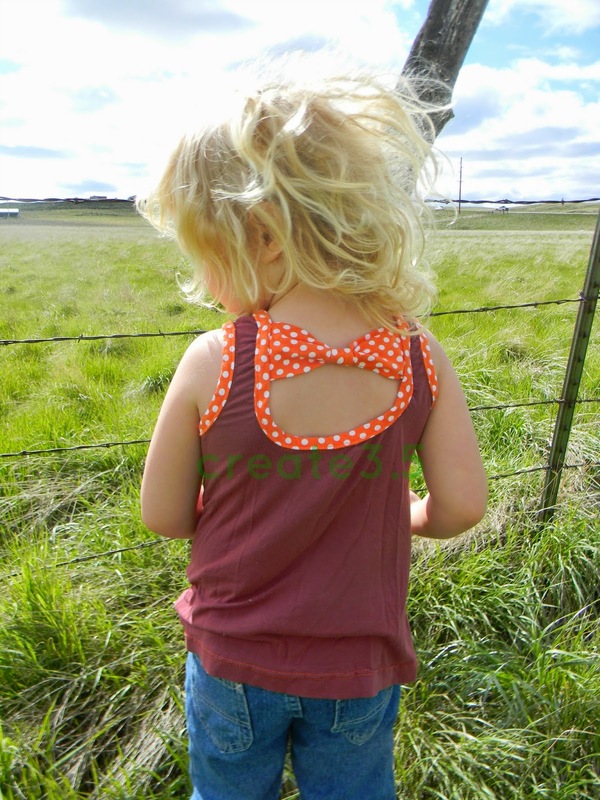 I'm so thrilled to be joining up for another Little Kiwi's Closet blog hop! This newest pattern caught my eye from the very first sneak peek, and I had to have it. Natalie (lucky girl) received a BBB dress from an LKC clothing swap, and I love it on her so much that I just had to make her another. Plus, she loves a twirly skirt, and the circle skirt is all that! 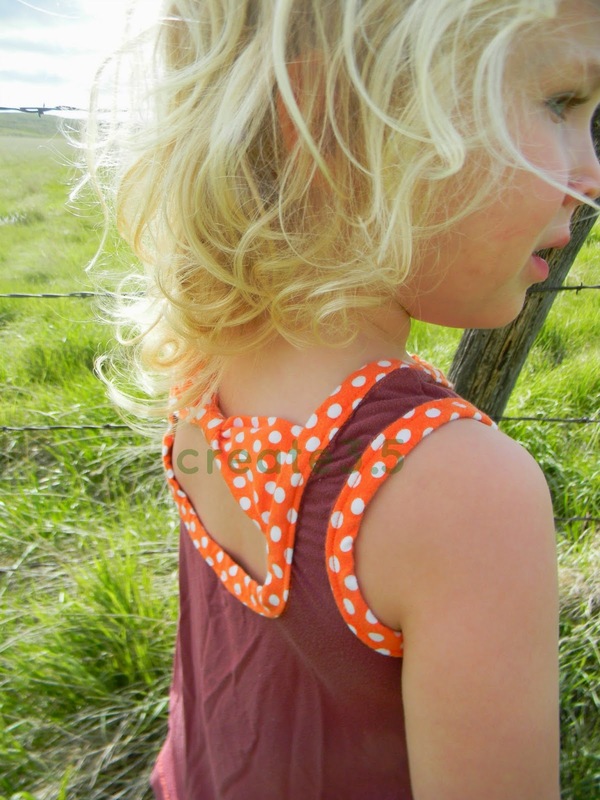 I added cuffed short sleeves to this one (her swap one is sleeveless) - plus, there's a long sleeve option as well. I used the one piece bodysuit option for her as well, though you can't see that part. I've never been a peplum fan, but I LOVE this on her. 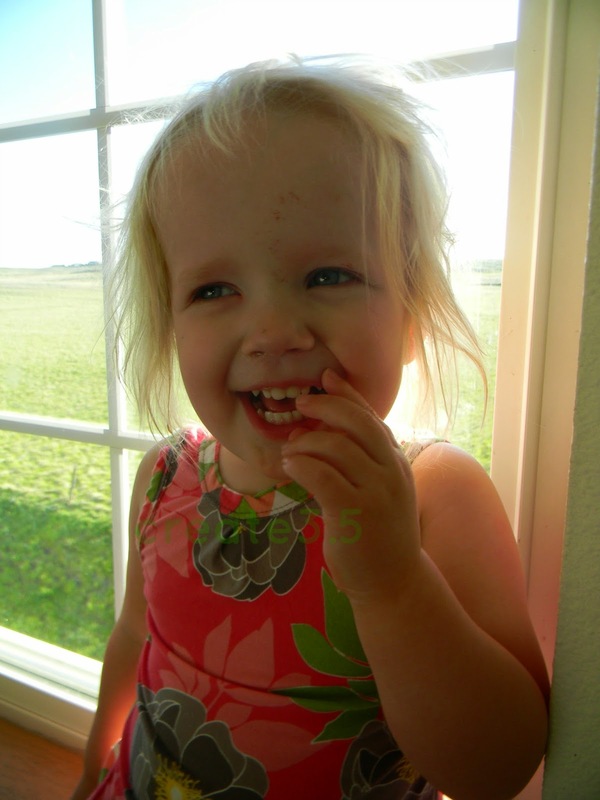 It just suits her personality - playful and a little goofy. As always, there are tons of options. Here I tried to lay them all out - there are also pattern pieces for the cuffs that are optional for the sleeves (you can also do a traditional or a rolled hem). And all this in sizes NB - 12 years. With all the different options, it's a pattern that can go the distance - with the right fabric choice and style options, it can go from playful to tween elegance easily. 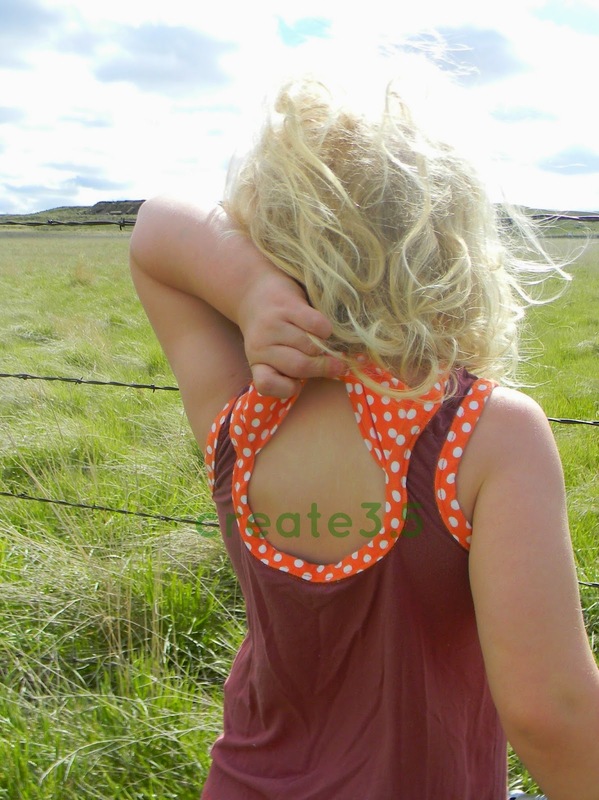 As always when sewing your own clothing, it's important to go by measurements - but I will say that my 4 year old fit perfectly in a 4, and my 2 year old solidly in a 2. 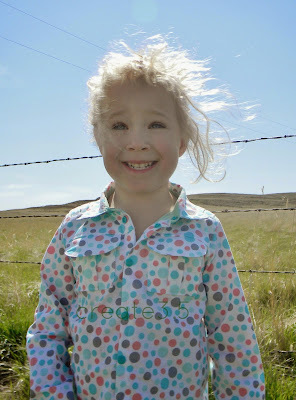 It was a sunny but windy/chilly day, so we took our pictures quickly (while hunting for the first of the dandelions popping up) and hustled back inside. 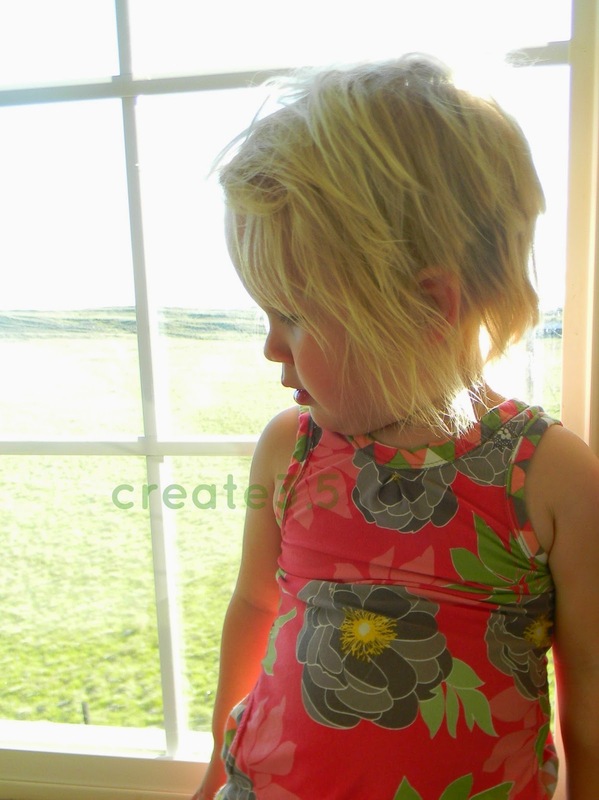 Natalie, who's - well, 4 - is getting more resistant to handmade clothing - but she loved her dress. Like I said, anything with a twirly skirt has her attention, and she loved the bow back! I believe "Ooohhh!" was her exact response. ;) I did a rolled hem on both skirts as well - I find it the easiest way to hem a circle skirt, and it's so fun to stretch it a little to get that pretty lettuce edge. 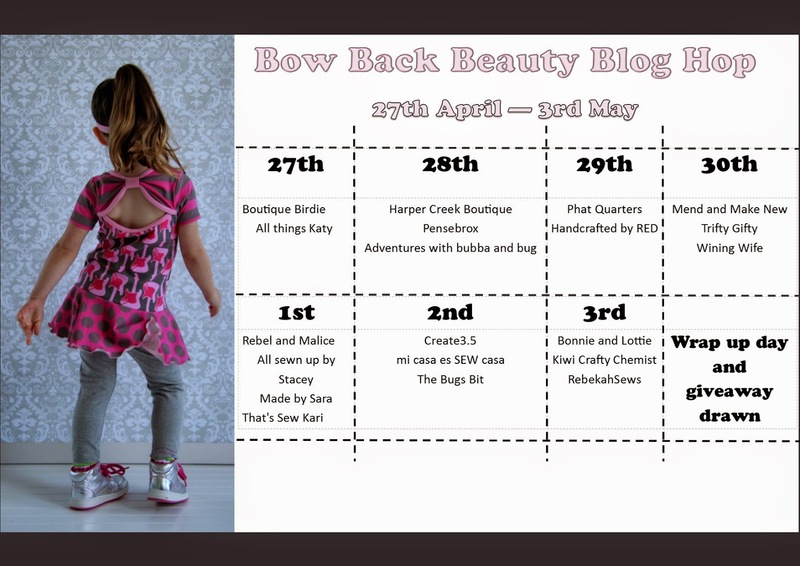 Lydia is offering a copy of the Bow Back Beauty pattern (or your choice of pattern, if you already own this one!) - just enter through Rafflecopter at the bottom of the post. 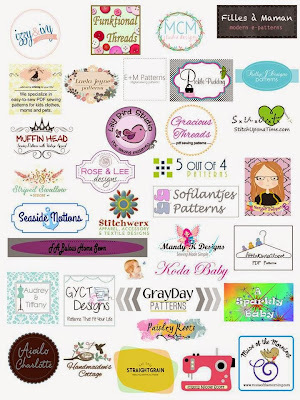 If you just can't wait, it's available on Craftsy right now for $2 off.